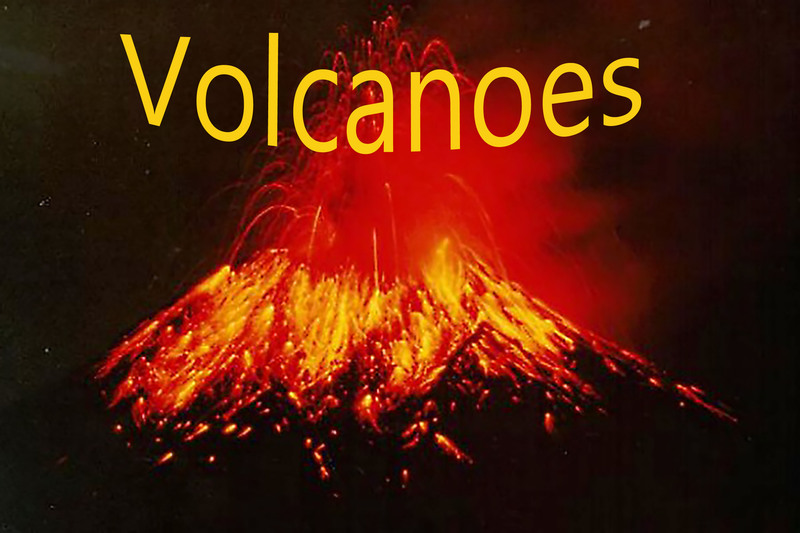 The Volcanoes exhibit highlights books and maps that provide insight on the history and science of volcanoes. The word volcano comes from the little island of Vulcano in the Mediterranean Sea off Sicily. Centuries ago, the people living in this area believed that Vulcano was the chimney of the forge of Vulcan--the blacksmith of the Roman gods. Volcanoes are mountains but they are very different from other mountains; they are not formed by folding and crumpling or by uplift and erosion. Instead, volcanoes are built by the accumulation of their own eruptive products -- lava, bombs (crusted over ash flows, and tephra (airborne ash and dust). A volcano is most commonly a conical hill or mountain built around a vent that connects with reservoirs of molten rock below the surface of the Earth. The term volcano also refers to the opening or vent through which the molten rock and associated gases are expelled. How Do Volcanoes Make Lightning?